Here is a blog post written by Nicole Allen. Thanks for the love! Crocheting is a fun and exciting thing to learn! You can make new projects and crafts with your kids. Or, if you’re college bound, take something old clothes out of your closet and design it into something you love! There are many different sizes, fabrics, and hooks out there. I’m here to tell you about a different kind of hook, designed especially for you! The Sharp Crochet Hook. Jessica Taufer designed this incredible hook with a great purpose. The hook is sharper than others, so it is meant to slide through fabric much easier. You no longer have to pre poke holes! All you need to use is the Sharp Crochet Hook! You could do so many things; You could turn a simple swaddle blanket, to have a delicate, beautiful edging. Change up your wardrobe and adorn it was edgings on skirts, tanks, and anything you could think of! Create crocheted flowers directly on headbands or gloves. The possibilities are endless! Create unique banners and pieces for the holidays! Make cards more meaningful with handcrafted stitching! Crocheting can be a wonderful pass time with friends and loved ones. It is a great trade to pick and use! Teach your kids to take the time to make something wonderful. Make a unique gift for friends to show how much you really care! Check out the website, www.sharpcrochethook.com, to see more projects, patterns, and more! 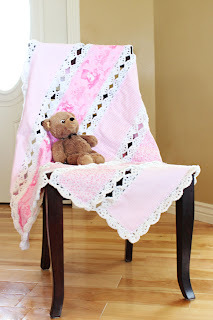 You can see many other crochet projects by other people and get involved yourself! You can also order online your own Hook and Pattern Combo Book to begin! 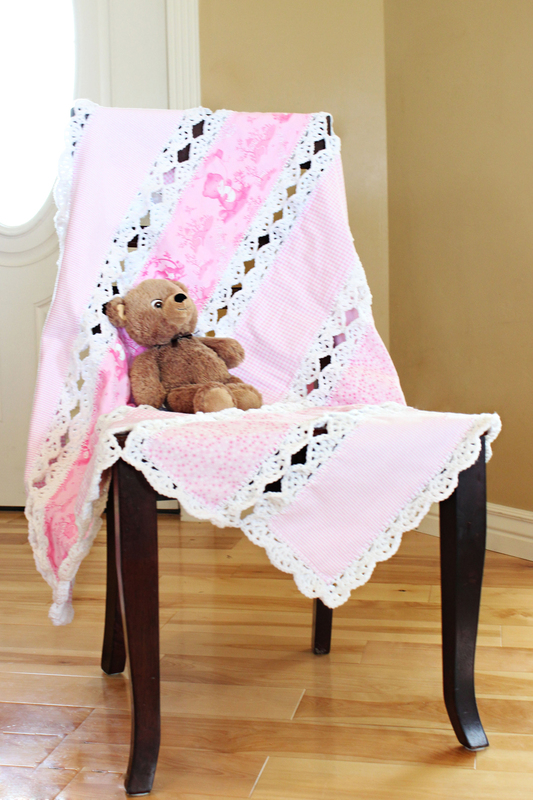 Start your projects today and let the crocheting begin! 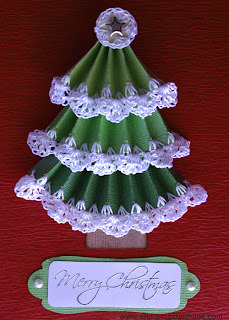 Thanks to www.sharpcrochethook.com for pictures of projects! Seriously cool. I never would have thought of designing a new crochet hook. Totally smart.